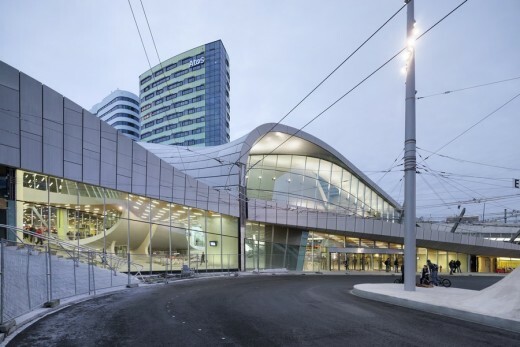 Arnhem Station will be officially opened this week, on 19 November. 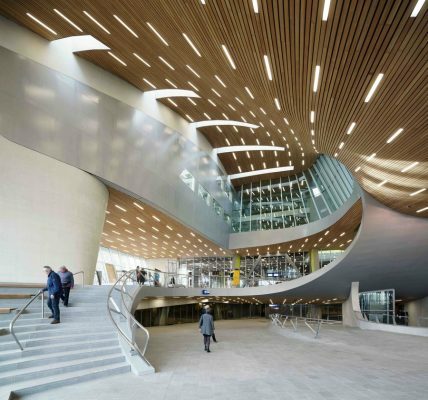 The multidisciplinary approach by the architecture firm UNStudio and Arup linked architectural design to human behaviour in a unique way. 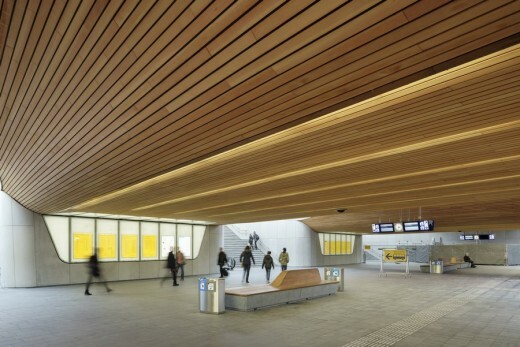 With the opening of the new station building the transformation of the area is now complete. 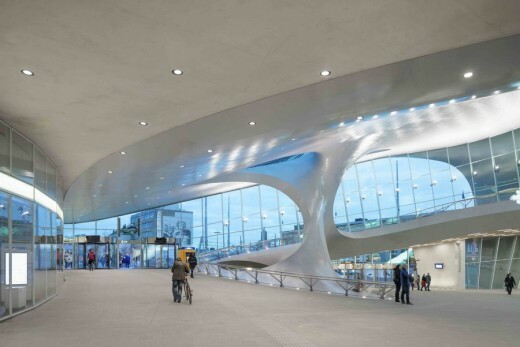 Since 1996 UNStudio has collaborated with Arup to achieve an integrated design with distinctive architectural and technical concepts for the masterplan, public transport terminal and underground parking. 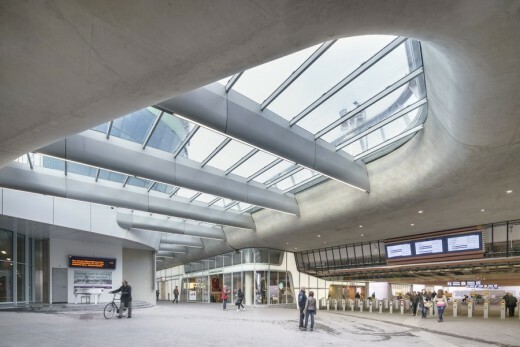 Key to the terminal design was a fast and smooth transition between different modes of transport and realising these modes on a very small plot. 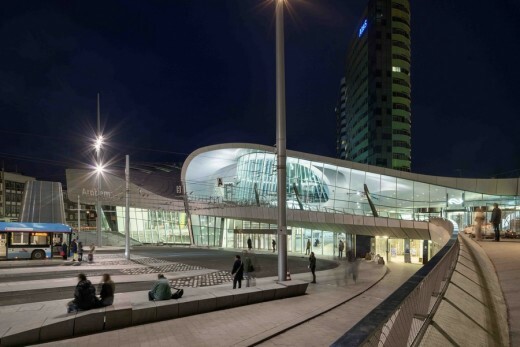 Arup contributed significantly to the integration of architecture, structure and lighting. 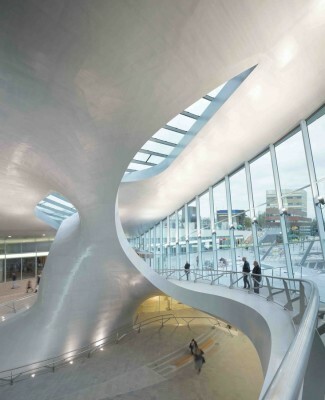 As a result, passengers are guided intuitively and efficiently to the right place. 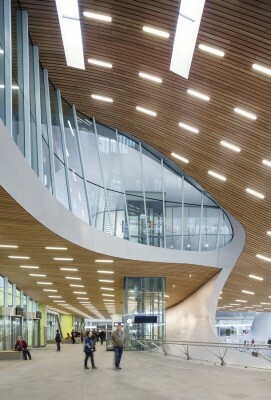 The terminal has two below-grade levels for bicycle storage and vehicular parking and multiple undefined above-grade levels that contain a spacious entrance lobby, retail shops, offices, service areas and corridors that link the train platforms, local and regional bus terminals, taxi stands, bike storage, and parking. 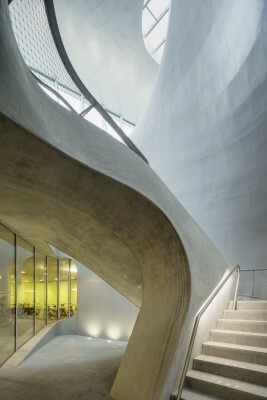 The ‘twist’ and the ‘trumpet’ are carefully designed structural-architectural solutions, using the most advanced computer tools. 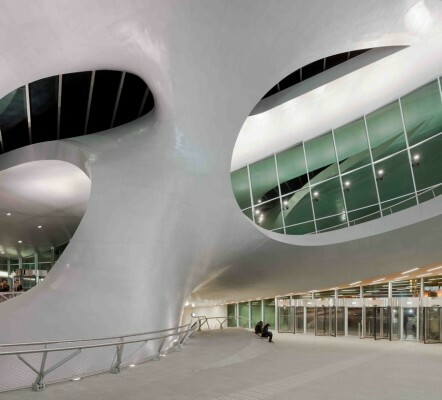 Together with UNStudio, Arup’s designers created 3D models of the complex terminal shape to ensure correct structural and lighting calculations.